Welcome to the info page for Selsdon based female vocal ensemble "The Songsations". Rehearsals are held in the Morris Chapman Room*, St John the Divine Church Hall on the Upper Selsdon Road, CR2 8DD. Click here for directions. Your first session is free so you have nothing to lose, come and give The Songsations a try. There is parking available behind the church hall or you can park on the street outside. The 412 bus stops almost outside the church hall whether you are coming from Croydon or Purley or the 64, 433 and 359 buses also stop not far away. We sing a mixture of mostly musical theatre and pop and we welcome anyone female aged 18 and over. All abilities are encouraged to join. We will work towards performing in concerts in the future. 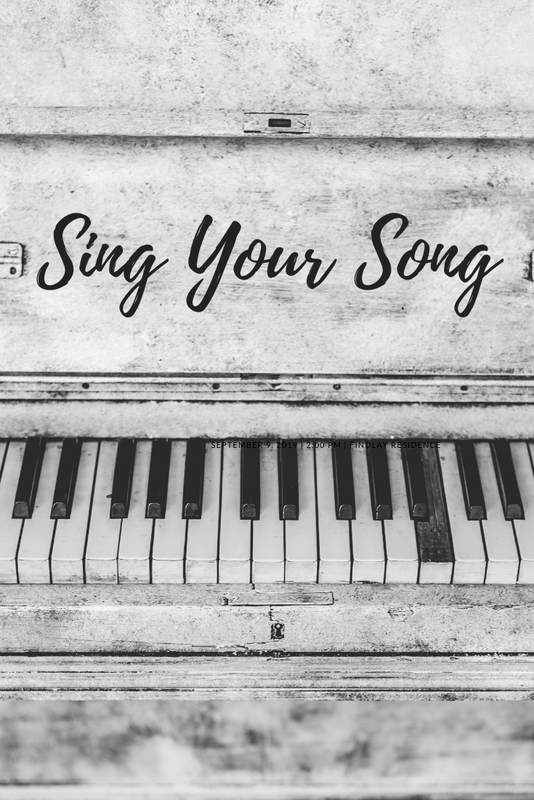 The Songsations have been running since September 2017 and are put through their paces by Claire Platt. Claire trained as an opera singer but spent most of her performing career in musicals both in the West End and on tour. She has performed in shows such as The Phantom of the Opera, Disney's Beauty and the Beast and The Witches of Eastwick to name a few. Claire now teaches in South Croydon and runs various singing groups for children and adults. The cost is £7 per session PAYG** however your first session is free! If you have any questions or would like to register your interest in joining please feel free to email Claire at songsations@outlook.com or use the Contact Me form at the bottom of this page. The Songsations now has a proper website! Go to songsations.net for more news. *please note there are steps up to the Morris Chapman room and, unfortunately no lift. **the session fee is subject to change. If you want anymore information or want to enquire about lessons, send me a message. Welcome to Sing Your Song. Have you always wanted to sing? This site will provide you with all details you will need to start singing with me. Come and sing with me in South Croydon! Lessons are £40 per 60 mins, £33 per 45 mins, £25 per 30 mins. For more information about me check out the "Come Sing With Me!" page then get in touch via the contact form at the bottom of this page.